Bollywood's young starlet Sanya Malhotra has been recently generating immense buzz with her electrifying dancing moves. Bollywood's young starlet Sanya Malhotra has been recently generating immense buzz with her electrifying dancing moves along with her acting chops. The recent video of the actress grooving to Naezy's song Aafat Waapas, has turned out to be a sensation amongst not just her fans but also the Bollywood fraternity. 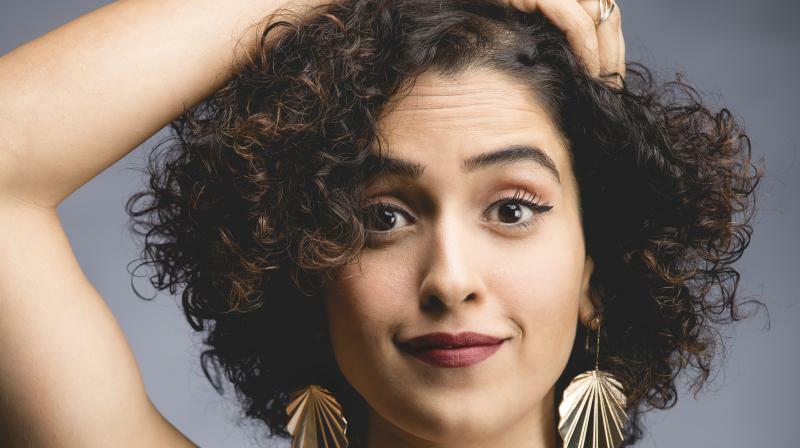 Receiving a thumbs up from the God of dance Hrithik Roshan himself, Sanya Malhotra earns praises for all her dance videos creating an uproar on the internet regularly. Post her vacation, the actress will be back in action as she begins shooting for Anurag Basu's next. ■Sanya Malhotra, Shashanka Ghosh team up?